To celebrate the 35th anniversary of the #LEGO® Minifigure, DK bring you LEGO® Minifigure Year by Year a new book that catalogues the tons of minifigures created since 1978. Featuring over 2000 minifigs, many of which were sourced and borrowed from LEGO communities, as well as an incredible number of #LEGO facts and stats, this is not a book to miss out on. 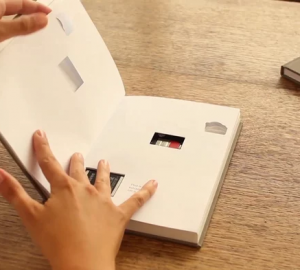 Measuring just 20mm x 17mm, the hardbound book is a 1:15 scale replica of its human-sized counterpart, making it a future collectors’ item of the publishing world. It doesn’t stop there, to celebrate the launch of the world’s tiniest coffee table tome DK held a press launch, complete with miniature cocktails and pint-sized canapés, at the Brick Lane bookshop in East London. A who’s who of the UK’s most famous faces, journalists and paparazzi (LEGO sized of course), were invited to celebrate 35 years since the first minifigures invaded bedroom floors everywhere, while being treated to an exclusive glimpse of the book’s tiny pages. 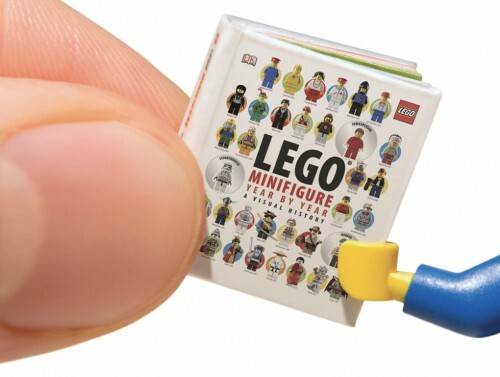 Simon Beecroft, Publishing Director of Licensing at DK, said: “During the making of the book, it occurred to us that we should also make a version solely for the minifigures. We thought it would be fun to make a hardback that they could actually hold, and even host their own book launch in a minifigure-sized book shop. 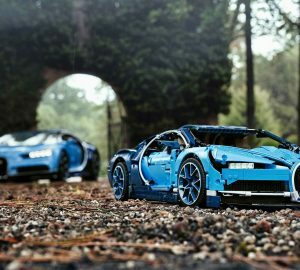 They have the largest population on earth and it seemed like the perfect 35th birthday present.” The life-sized version of LEGO Minifigure Year by Year goes on sale this week. Featuring over 2000 minifigures, many of which were sourced and borrowed from LEGO collectors around the world, the book includes a whole host of rare or previously unseen models, as well as an incredible amount of facts and stats. 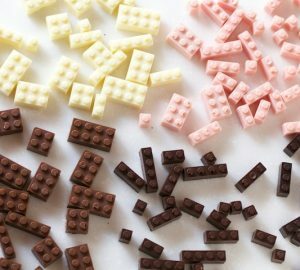 LEGO Minifigure Year by Year affectionately encapsulates a strong part of cultural history and is perfect for LEGO fans of any age.